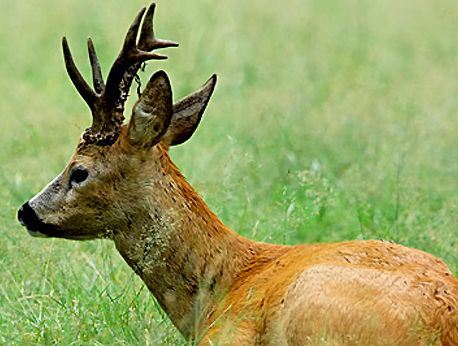 Well, autumn is just around the corner and it’s mating season here in Italy for the Caprioli, Roe Deer. We hear them in the dusky hours every evening and in the misty dawn, making their unusual call of the wild. What a sound! It’s unbelievable. Seriously, the Roe coughs out a disgusting guttural grunt/scream noise that would put a halt to any possibilities. The first few times we heard it, we thought there must be some monster of the woods—some creature both dreadful and loathsome. We wanted no part of it. The only deer references we had were 1.) the sweet, docile and perpetually hungry ones that live in Indiana and Ohio; and 2.) Bambi. Ah, the classic Walt Disney animated masterpiece! Bambi. We loved him. We grew up with him. Disney’s features became synonymous with well-told, beautifully depicted, happy-ending stories. There probably isn’t an American alive who doesn’t know and love Bambi, the little dear (pardon the pun). Etched into our memories and saturated deeply into our collective psyche, we see nothing but beauty, strength and success when we conjure up the story. But, if you want to know the truth, Bambi, is probably not quite what you thought he was! Yes, you heard us right. We can’t really believe we’re even saying that out loud, but the facts speak for themselves. Read along, then make your own decision.We were surprised to discover that Walt Disney wasn’t the father of the sweet little Bambi. Nope—Bambi was Austrian! Now you know. Bambi was originally conceived in Austria by Felix Salten in 1923 in his famous book called Bambi – A Life in the Woods. (Curiously, the name was derived from the Italian word bambino for little boy). Almost 20 years later, Mr. Disney bought the rights, taking a few “liberties” with the details when importing the story into the United States. WD’s clever team quietly made Bambi 100% American instead of European. You see, Bambi was originally a Roe Deer, which are found in great numbers throughout Europe, but NOT in the United States. In almost all corners of the US, you’ll find the White-tailed Deer, which is a different animal indeed. But Disney’s market was American and related better to all things American—not European. This was part of Disney’s influence in underscoring early imagery of American-ism. Funny, we don’t remember anyone ever mentioning that Bambi was a morphed and sanitized concoction of the original. Why did the Disney crew perform this sleight of hand, you might ask? Well, let’s continue on. The original story was written for adults, tracing the life of a Roe Deer, including such things as the tragic loss of his mother, the danger and harshness of nature, the life lessons learned from his father, and especially, the looming cruelty of man, the hunter. It was actually considered to be one of the first environmental novels ever published because of its sublimely beautiful descriptions of life in the woodlands. Then Disney transformed him into an American White-tail deer—the young “Prince of the Forest,” that we came to know and love. Suddenly, it became a children’s story of a deer under the guidance of his mother. (After all, nobody likes a story about losing their mother.) With the help from pals Thumper and Flower, innocent little Bambi learns about the power of friendship and family. What?? Where did these characters come from, and what happened to the spooky dangers posed by the hunters and the forest, the sage guidance of his father, and the underlying theme about the environment? And how about the political allegory for Pete’s sake? That’s right! The original book was also considered an allegory of the treatment of Jews in Europe. It was actually banned in Nazi Germany. Yikes! But Walt Disney, father of so many animated characters, was also a brilliant marketing strategist. Changing a Roe into a Whitetail Deer was the first logical step. 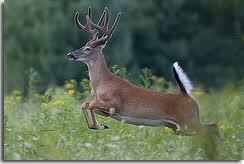 The American Whitetail makes relatively sweet and pretty sounds during the mating season. They practically coo and bleat to one another. American kids quickly embraced the new sweetheart. Maintaining the original Roe Deer, along with its unmistakable harsh bark, would have scared the bejeebers out of them. Disney was no slouch. He knew in his heart of marketing hearts, that the strange and unfamiliar Roe Deer just wouldn’t work because his audience was distinctively American. Europeans, on the other hand, have been raised with a cultural sensitivity to the environment. In fact, they seem to embrace the ragged-edged, raw truth of life. The bitter with the sweet. The dark and the light all swirled together. No deception or glossing over the facts. They usually “tell it like it is,” whether you want to hear it or not. We really appreciate that quality. In general, Europeans seem healthy and holistic, because of it. So the crux of our message isn’t about taking liberty with an original story, because that happens all the time. Rather, it’s about smoothing over harsh realities with sweetness, prettiness and light. Are we overly coddled and woo-ed in the US? Who can really say? Perhaps a good old-fashioned guttural growl once in a while, a startlingly scary sound coming from the deep dark woods is a bit of reality we can all appreciate. And there’s certainly nothing wrong with a regular old brown tail bobbing through the tall grass. Can’t we finally forgo the little white-tailed lies? Very nice! 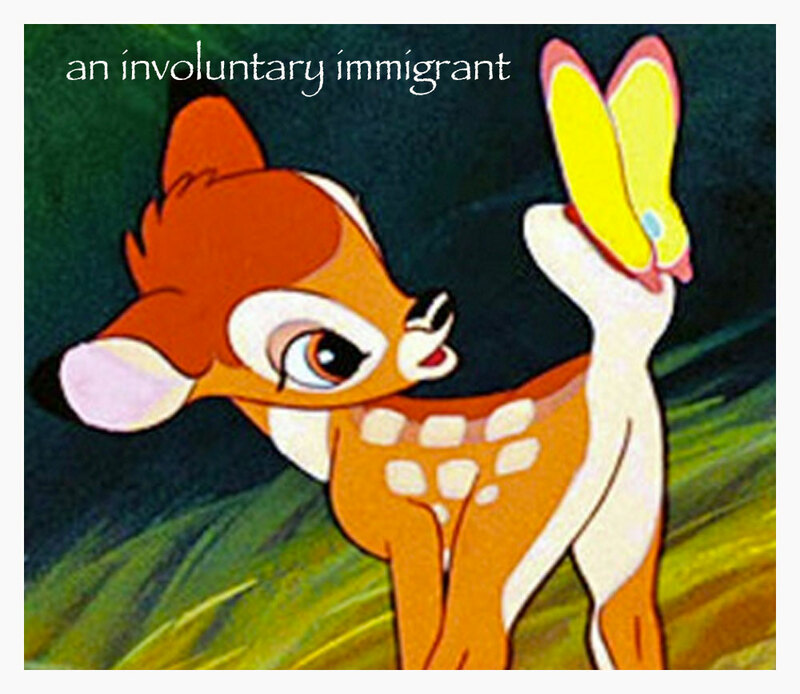 Didn’t know this about Bambi…and yes, I guess its not just the US. Today we do seem to be sugar coating everything instead of accepting both sides – the light and the dark. Took a minute to read your recent post—really enjoyed it. Here’s to the quest of the Magpie!